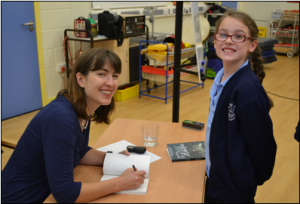 As a children’s writer, it is great to have a chance to get out from behind my computer and actually meet the children and talk with them about books. My visits are a chance to chat with children, to answer their questions, have fun and hopefully inspire them with the excitement of stories and the imagination. Encouraging reading for pleasure is always a key aim. Workshops, Talks and Assembly Sessions. – Workshops where the focus is on the children’s writing – inspiring even the least confident children to let their imaginations roam. All sessions are likely to include a reading from one of my books, questions and answers, tips for would-be writers and a chance to be creative and try some story-making. I have appeared at the Edinburgh International Book Festival, the Ilkley Literature Festival and the Wigtown Festival, among others. 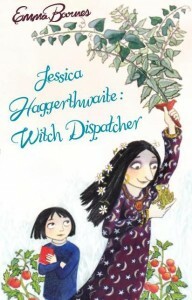 I have done many school Book Weeks and World Book Day events, as well as designing and running workshops for schools. 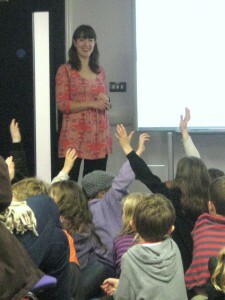 I have also done events and workshops with teachers, University Education departments, libraries and museums. I am a member of the Society of Authors and usually charge their recommended rates. I am also a member of the National Association of Writers in Education (NAWE) and have been CRB cleared. I live in Leeds, but am happy to do visits throughout the UK (or beyond!) when practical.